Recipient of the “2007 City of Chicago Landmark Award” for new construction in a landmark district and a 2007 Design Award of Merit from the Association of Licensed Architects. 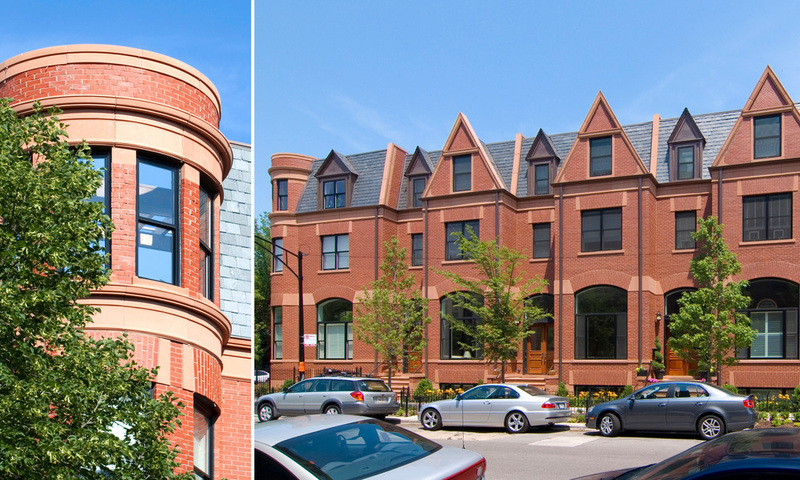 5 new luxury townhomes located in Chicago’s Mid-North Landmark District. Units range in size from 4,200 - 4,500 sq. ft. Fourteen garage parking spaces tucked beneath the building. The facades were designed to blend with the monochromatic red brick and sandstone buildings prevalent in the Mid-North neighborhood. Approvals process involved multiple meetings with alderman and neighborhood groups, as well as negotiation with Landmarks staff and hearings in front of Chicago Landmarks Commission.